Impetigo is an acute, highly contagious bacterial infection which usually appears as red sores on the face, especially around the nose and mouth. It usually affects preschool and school-age children. Impetigo symptoms can be uncomfortable and embarrassing, particularly when they are present on the face. Blisters filled with pus that are easy to pop. Filled with yellow or honey-colored fluid. Oozing for a few day than form a yellowish-brown crust. A rash that may begin as a single spot, but spreads to other areas with scratching. Skin-to-skin contact with an individual who has impetigo. Touching things an individual with impetigo has had contact with, such as towels, bedding, and toys. Through a break in the otherwise healthy skin. Through skin damaged by another underlying skin condition. Being a child – Impetigo is thought to be more common in children because their immune system has not yet fully developed and because they tend to spend time in places where the infection can easily be spread. 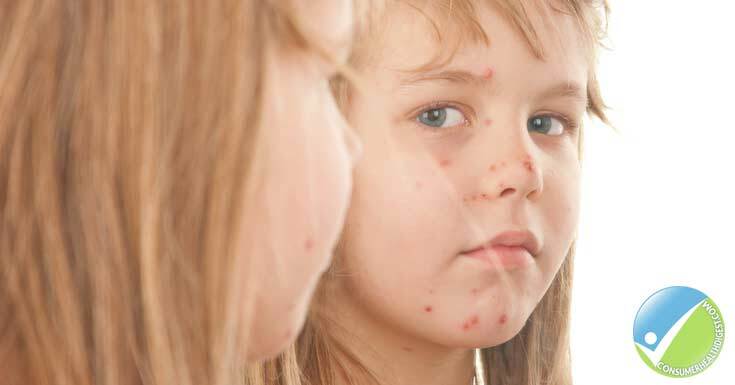 Warm and humid weather – impetigo tends to be more common during the summer months. Participating in activities that involve skin-to-skin contact. Impetigo Contagiosa: This most common form of impetigo, most often begins as a red sore near the nose or mouth which soon breaks, leaking pus or fluid, and forms a honey-colored scab, followed by a red mark which heals without leaving a scar. Scores are not painful, but may be itchy. Lymph nodes in the affected area may be swollen, but fever is rare. Touching or scratching the sores may easily spread the infection to other parts of the body. 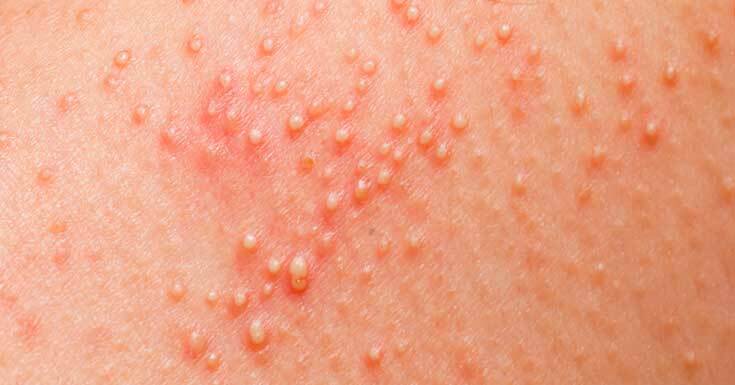 Bullous impetigo: Bullous impetigo, involves painless, fluid-filled blisters, mostly on the arms, legs and trunk, surrounded by red and itchy skin. The blisters may be large or small. After they break, they form yellow scabs. Ecthyma: In this form of impetigo, painful fluid-filled or pus-filled sores with redness of the skin, usually on the arms and legs, become ulcers that penetrate deeper into the dermis. After they break open, they form hard, thick, gray-yellow scabs, which sometimes leave scars. Ecthyma may be accompanied by swollen lymph nodes in the affected area. Impetigo appears as honey-colored scabs formed from dried serum, and is often found in the arms, legs, or face. Your doctor will examine your sores and ask about any recent injuries to the skin and he/she may take a culture to determine what type of bacteria is causing you impetigo. Not touching the sores whenever possible. Washing the areas of infected skin with clean gauze and antiseptic soap every day. Soaking the areas of crusted skin with soapy water to help remove the layers of crust. Staying away from work, school, nursery or playgroup until the sores have dried up or treatment has been continuing for at least 48 hours. Cleaning and covering any injuries to the skin. Using antibacterial soap to wash hands. Using a clean towel or fresh paper towel to dry the body or hands. Washing linens and clothes in hot water. Cleaning surface areas in the home with antibacterial products. Avoiding schools and childcare centers while the infection is contagious. Not sharing personal hygiene items. Impetigo is very contagious. 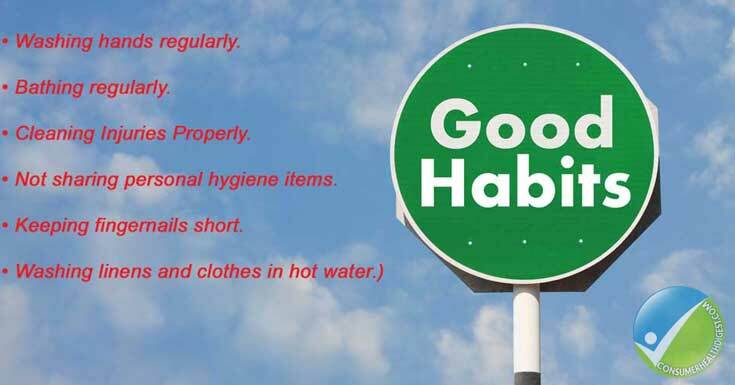 It can spread to anyone who comes into contact with infected skin or other items. That’s why you should always be careful what and who you touch, keep you hygiene at a high level, and cover your skin injuries at all time to prevent catching a dangerous bacteria such as impetigo.